The team of Pro Recco, winner of the Italian Championship in 1967. 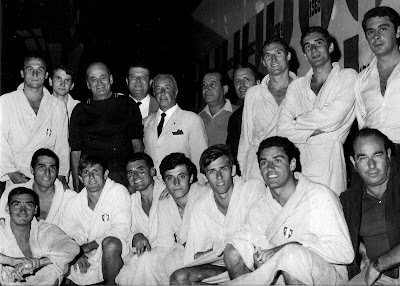 Standing L-R: Lonzi, Marchisio, Norrish (President), official, Ferro (Vice President), official, official, Cevasco, Ghibellini. Seatting L-R: Guerrini, Pizzo, Lavoratori, Maraschi, Sandri, Mortola, Merello.